According to Vietnamese tradition, wedding is one of three most important things to do all one’s life. 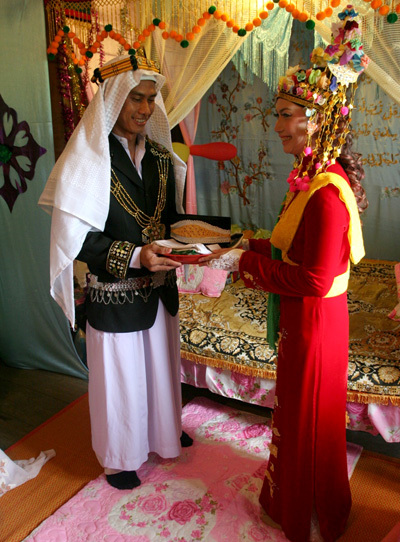 Because of the diversity in culture of 54 different ethnic minority groups living in Vietnam, wedding ceremonies are also held differently in different ethnic groups. 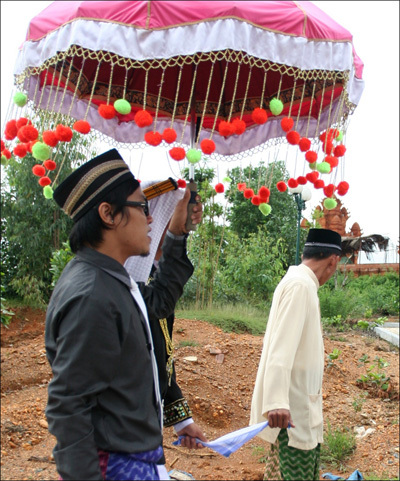 And Cham people, one of Vietnam ethnic groups, have wedding ceremonies held in a special way. 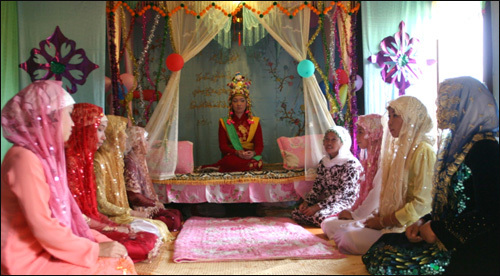 The photos taken below show that a number of unique rituals and customs are still practiced at a traditional wedding ceremony of Cham people. 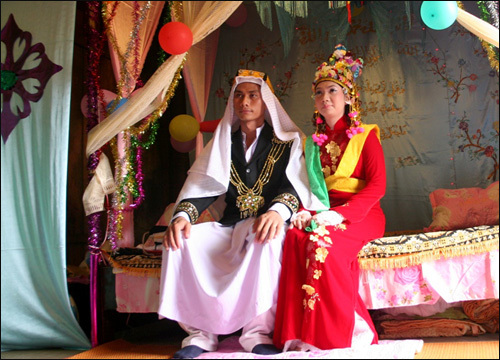 When young Cham people reach adulthood, man’s parents will ask one of their family members to propose the date of marriage to the chosen bride’s family. 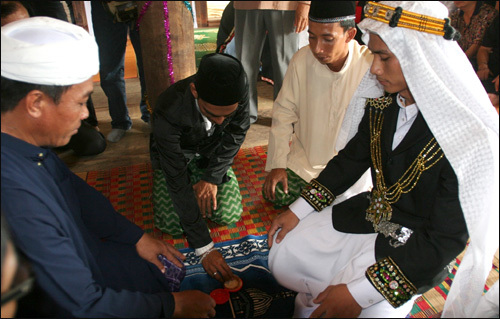 If the proposal is accepted, the bridegroom’s family will organise a ceremony to confirm that the couple is married. During the days the bridegroom’s family will carry gifts in pottery pots to the bride’s family. The beautifully made-up bride will wear a traditional long red silk dress. Her hair and ears will be decorated with flowers and brooches. The wedding ceremony lasts in three days. 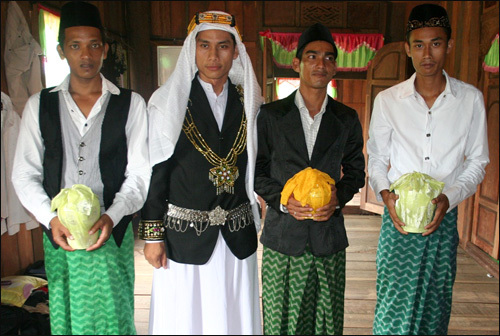 On the first day the two families often make three kinds of cakes, including Ha Bum, Tapaikagah and Gti Kling, and cook the beef curry for the wedding. On the second day, representatives of the two families pray for the bride and groom’s double happiness. On the last day, the bridegroom’s family go to the bride’s family to hand over the gifts and then pray for the young couple. The bridegroom will be led to the bride’s room where he will lift the bride’s veil and point his finger to her forehead to show that he wants to marry her. After that, the bride will give her groom some small gifts for daily use. 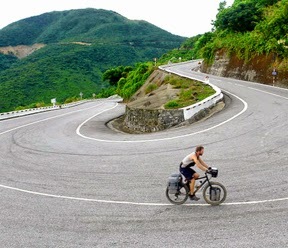 After the wedding, the bridegroom will stay in the bride’s family home for three nights the he will either stay at his wife’s house or the couple will live with his family, depending on the decision of the two families. 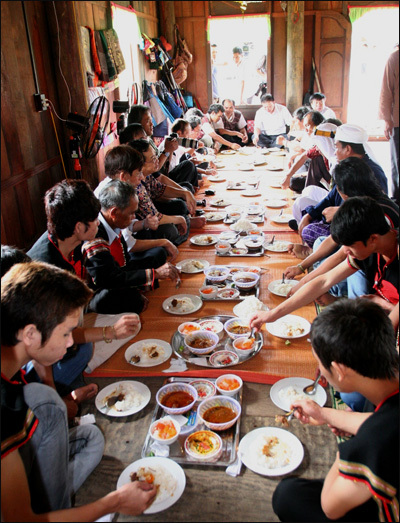 The wedding feast given by the bride’s family includes rice and beef curry to be served along with Ha Bum, Tapaikagah and Gti Kling cakes and tea.